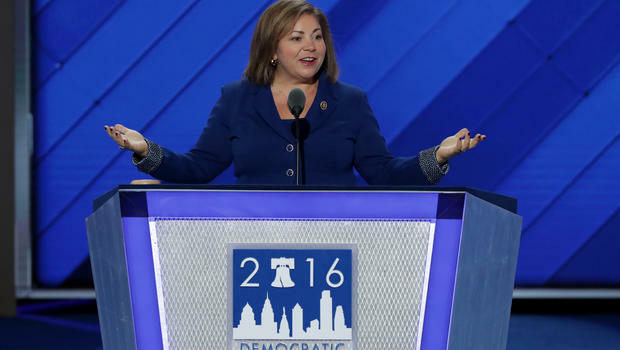 Rep. Linda Sánchez (D-CA) of the Congressional Hispanic Caucus, in referencing Republican presidential nominee Donald Trump's comments about Mexicans, said, "America is great. It is the country that gave my family the opportunity for a better life." She ended her speech stating, "It is because of that diversity we are the envy of the world." Sanchez recently dropped out of the race for Democratic caucus chair, citing unspecified "family concerns." She also ran for U.S. Senate in 2016 against Kamala Harris, who won the race.